Last week we were on snow watch all week, with talk of it coming our way. Last year I was really unprepared for it and it also went for a long time. Our shopping delivery was cancelled because they couldn’t get through and we were running low of supplies. This year I was not going to let that happen again, and was more organised. I got our shopping delivered a day earlier than normal and I brought extra bread and milk for the freezer. It was a good job that I did, because the next day we woke up to a lot of snow. It was really deep and the girls school was closed. 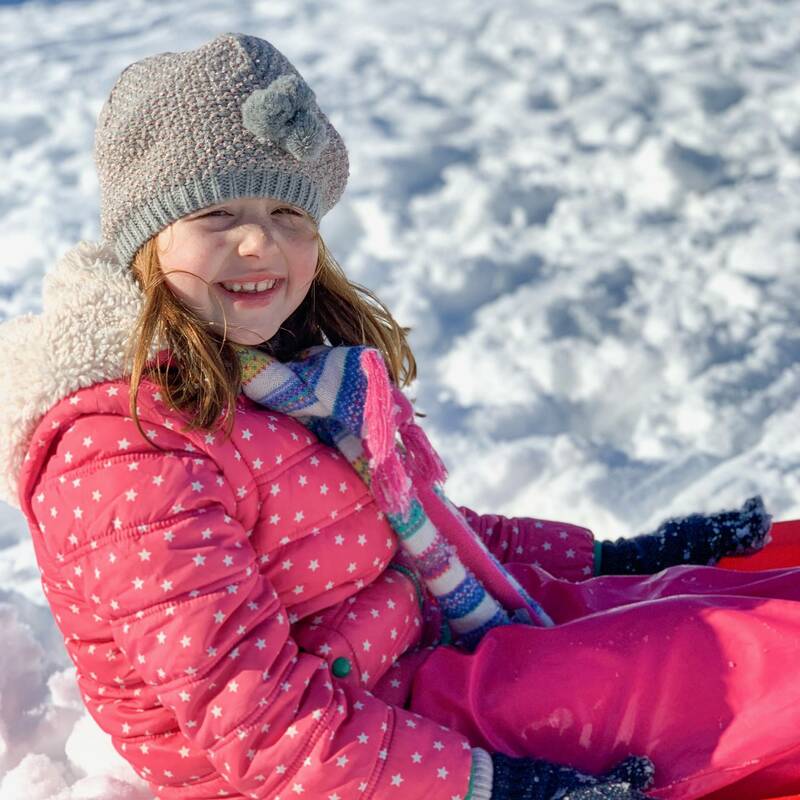 I will always be grateful that my job, allows me to be flexible and it meant that I could enjoy the day with the girls in the snow and at home. Even if it does then mean, working late at night, as the work doesn’t disappear. I still have deadlines to meet. But I know that I’m incredibly lucky that I can do it once the girls are tucked up in bed. 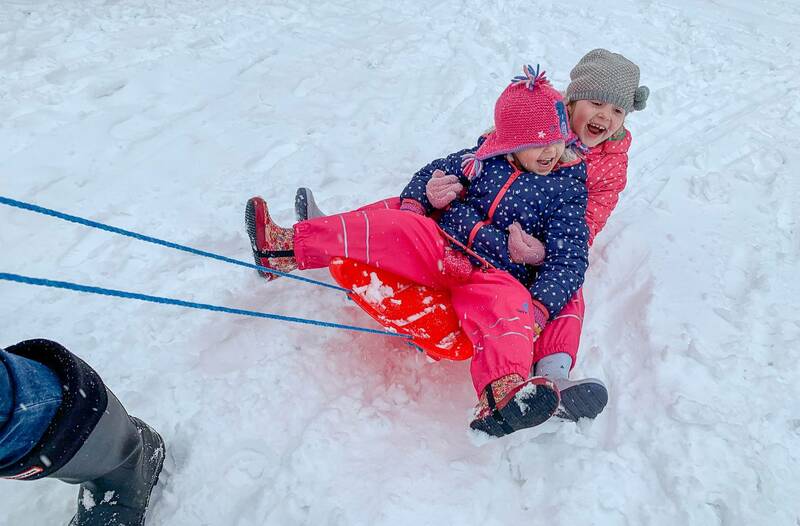 The girls couldn’t wait to go and in it and we wrapped up warm, got the sledge out of the garage and headed out to meet some friends for some fun in the snow. In previous years when it has snowed, it has snowed overnight and then stopped during the day. But on Friday it snowed continuously all day. Which meant we also got very wet whilst we were out in it. It was still great fun. When we woke up on Saturday, the snow was still there. It had been really cold overnight, and it had frozen. Of course the girls wanted to go out again, we stayed closer to home this time. Luckily at this age, the girls are just happy to be out in it and they saw some friends who live near us and that made their day. 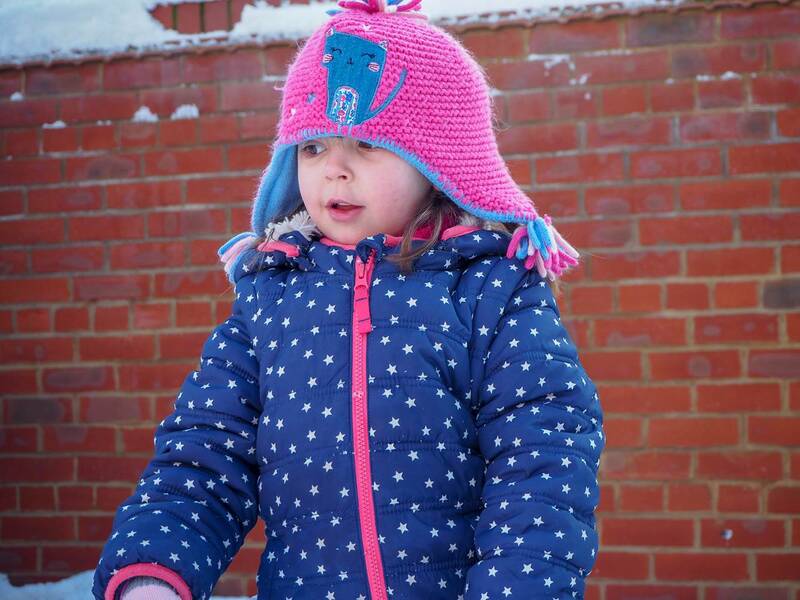 There is something magical when it snows as a child, I think my girls just assume it happens every year, as they don’t remember a year it hasn’t snowed. I can’t help get caught up in their excitement and the sound of that crunch, as you walk through it. But, I also then get to the point when I’m over it. The novelty has worn off and I just want to be able to go out in my car! I wanted to share a few photos of the weekend, as these of the moments I want to remember forever. 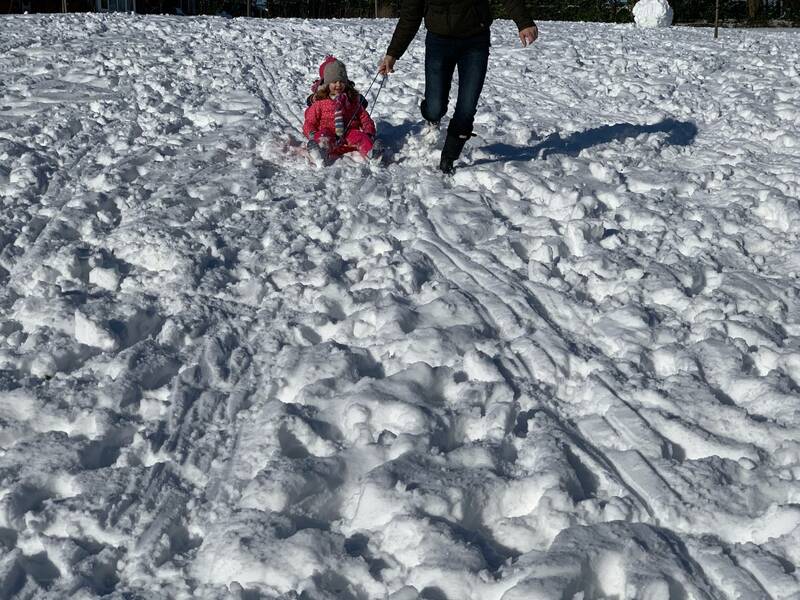 How lovely that you were prepared more this time and make full use of the snow weekend. I was stuck indoors for two days but luckily was able to leave for Devon. What lovely photos. 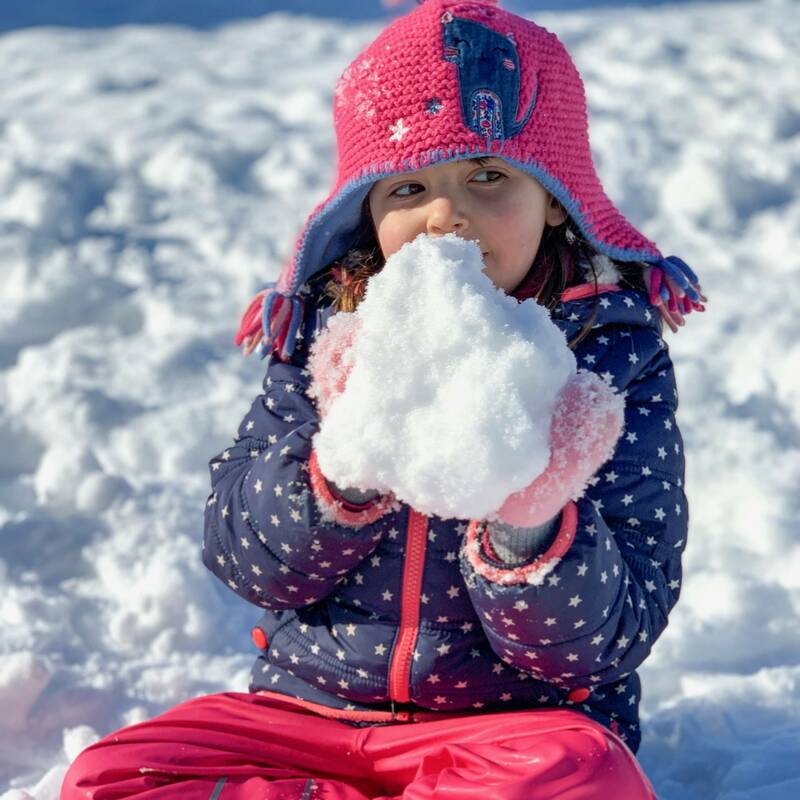 Snow is magical when you are a child. I am glad you could all enjoy it. What beautiful images. We got a small amount of snow but unfortunately the school was still open. Last year was better. I’m still so jealous of how much snow you got! We only had it one day and it had melted by the next! Booo! Aww it looks like you had a great time. 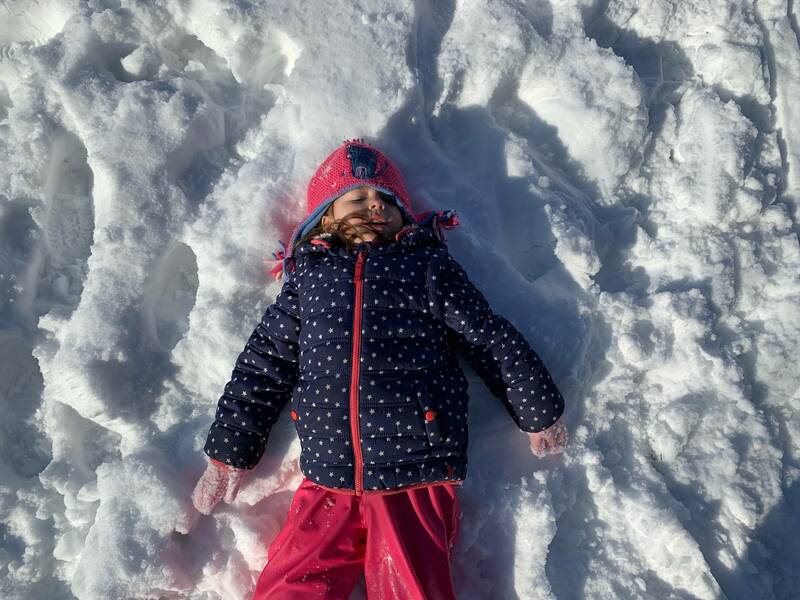 My kids love the snow, me not so much! Oh wow it looks like you had soooo much fun. 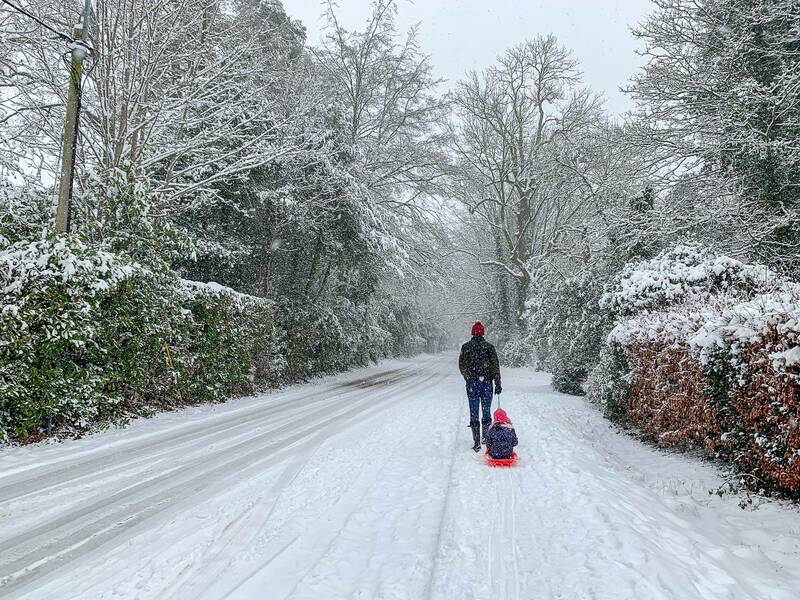 I’m so jealous, I had the sledge ready to be used but we barely got any snow at all. I think that’s it now for this year. You took some lovely photos the kids will remember the fun they had for ages I’m sure. Wow the snow pictures are so beautiful. I can see the kids had a lovely time. 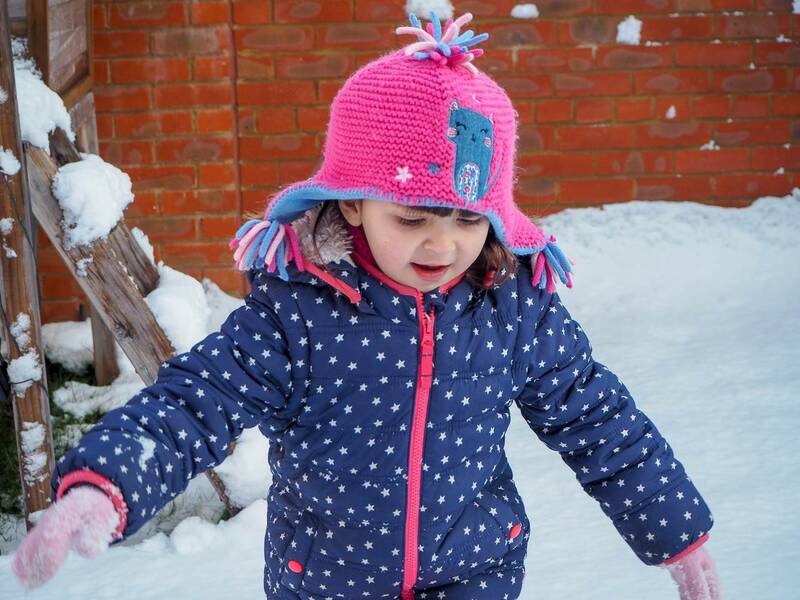 What lovely pictures, it looks like you had so much snow! 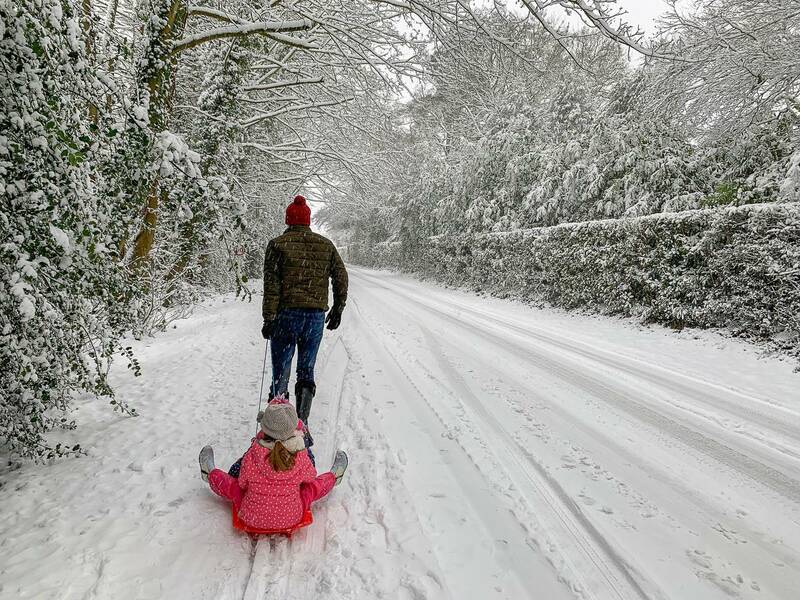 They look so happy to be out in it and sledging looks to be a hit. My son loved it but my daughter had enough after about 5 minutes and her hands got cold lol! Your right though as pretty as it is, once it turns to ice and the paths are so slippery and everything sludgy the novelty quickly wears off lol! 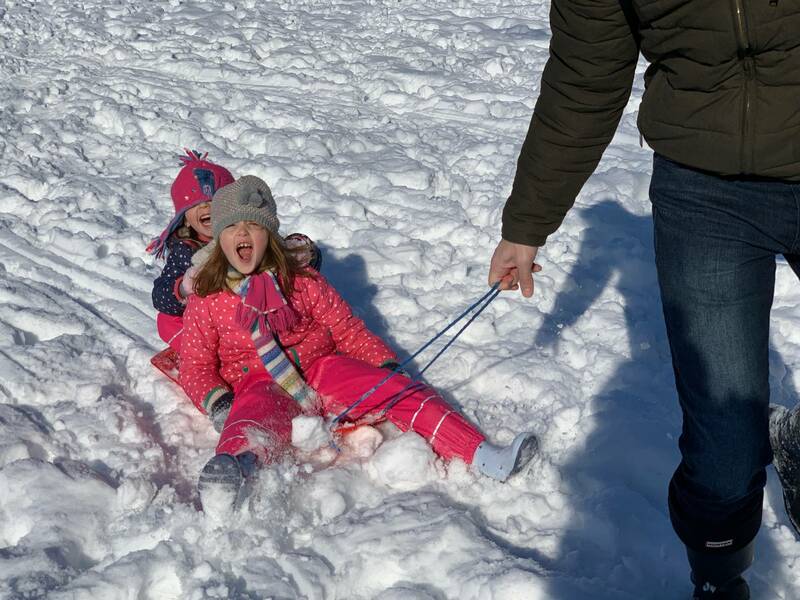 It looks like you guys had so much fun in the snow! We only got a little sprinkling here. Typical! We didn’t have much snow No snow day for us. Very very jealous! You got some lovely pictures. 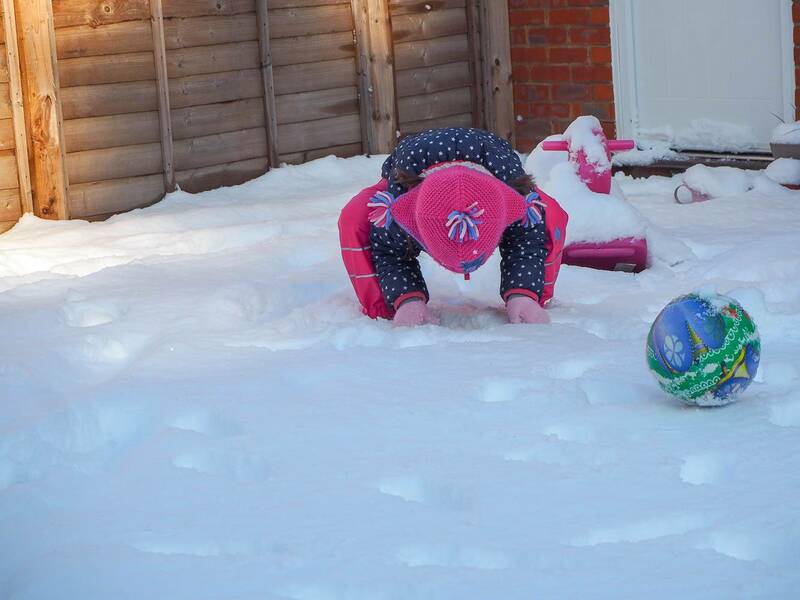 Yes, my sisters were completely unprepared for the snow they got last year and were queuing for entry to get food in their nearest supermarket. And I hear you on the getting sick of it! I used to be the same when we lived in Wales.